The Aduro Surge Protector is a great way to protect your gadgets whilst charging them it comes with a total of eight ports including two USB ports. 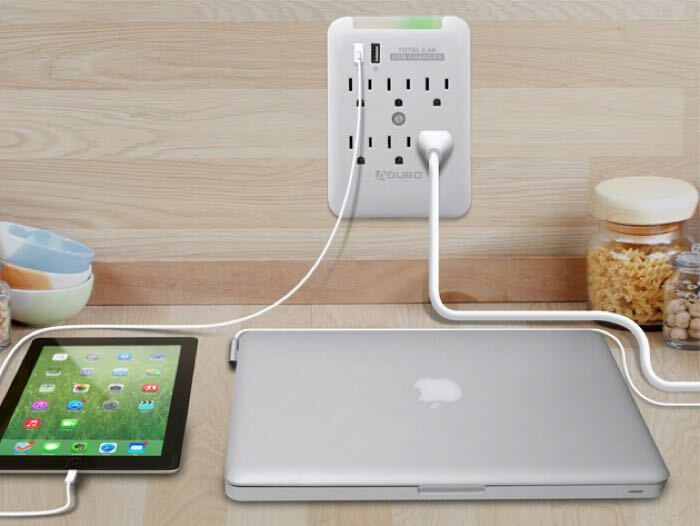 It normally retails for $40 but you can now get the Aduro Surge Protector for $19 and save 52% off the normal retail price of $40. Save time charging your electronics with this 8-port power station—and rest assured each and everyone will stay safe in the process. Uncontrollable factors, like weather changes, are known to cause random voltage spikes that can damage electronics at the drop of a hat. With Aduro, your devices will be safeguarded against damage and possible destruction, with the added convenience of charging up many devices at once!